Gov. Mark Dayton said Thursday he'll veto a bill to overturn municipal wage and benefit ordinances if it reaches his desk. The so-called preemption legislation would bar Minnesota cities from setting their own paid sick leave requirements, minimum wages and other rules on private employers. That's been a hot-button issue, particularly in Minneapolis, where advocates have been pushing the city to set a new $15-an-hour minimum wage, higher than the state's standard. The House and Senate passed slightly different versions, and a joint committee to merge the plans hasn't met since being appointed in late April. Dayton had previously resisted pledging a veto while making his concerns known. On Thursday, he said a standalone preemption bill would get vetoed as would a wide-ranging budget bill that includes it, barring something unforeseen. 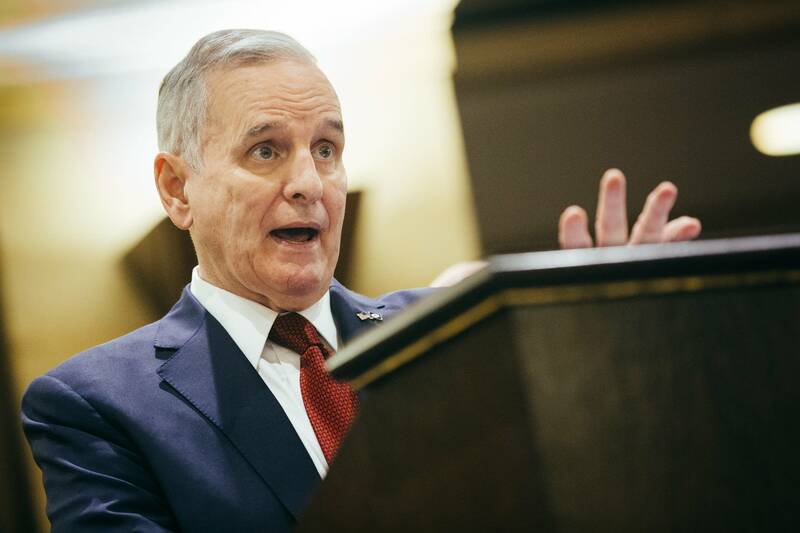 "I think it's bad policy to take over the decision-making authority of local governments, which is usually a Republican doctrine, and to lock in a minimum wage of $9.50, which is $19,000 a year," said Dayton, noting that's "$5,000 below the federal poverty level for a family of four." It was the DFL governor's most definitive comment yet on the controversial issue pitting local control versus concerns of the businesses about uneven standards statewide. Dayton has been under pressure from labor unions, community groups and local officials to stop a top business priority for the session. It's not clear what would happen if the provision ended up embedded in a larger two-year budget bill that came out to Dayton's liking. Said the governor: "I'll do everything I can to keep it out of what the final agreement is."